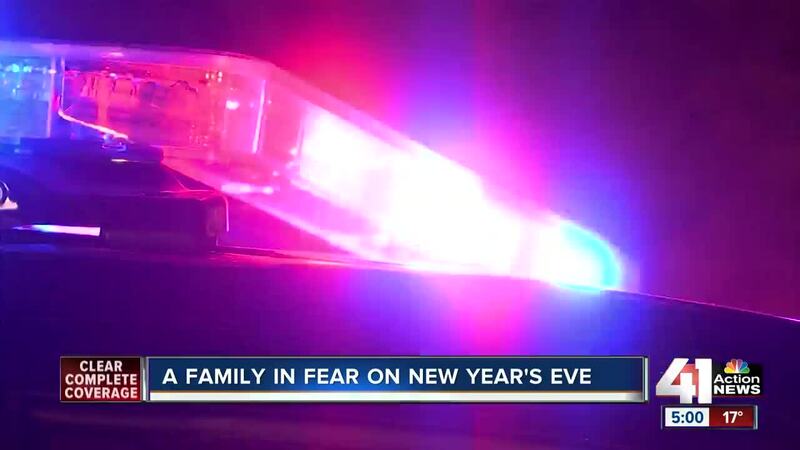 Courtney Lewis and her three-year-old son were in bed on New Year's Eve when they awoke to the sounds of celebratory gunfire near their home. After calling 911, they took shelter in their basement. KANSAS CITY, Mo. — Courtney Lewis and her three-year-old son were in bed on New Year's Eve when they sounds of gunshots rang out. "At about 11:58 p.m., I started to hear gun shots in the distance," Lewis said. She went outside her home and saw fireworks down the street. "But then, I heard immediately and way close to my house: 'Bang, bang, bang, bang,'" Lewis said. It was gunfire and it was close. She called 911, but also took matters into her own hands. "I took my son wrapped him up in a blanket and we went into the basement," said Lewis. Forty-five minutes of sporadic gun fire keep them in the basement. "The fact that you have to worry about more than drunk drivers on New Year's Eve is a massive problem," Lewis said. Kansas City Police have to deal with it every year. "The bullet goes down as fast as it goes out of the gun upwards in the air. It's a very dangerous situation," said KCPD Sgt. Jake Becchina. Lewis was thankful her son was asleep while it happened, but has a message for the people who continue to shoot. "Stop! Just stop. Because you don't think that they are going to go anywhere. I don't know what macho crud you are trying to prove, but don't do it. We have small children, we have older children, we have people who are just staying home," Lewis said. KCPD said no one was hurt from reckless gun fire, but two cars were damaged.